We are very grateful to the following organisations for funding this project. 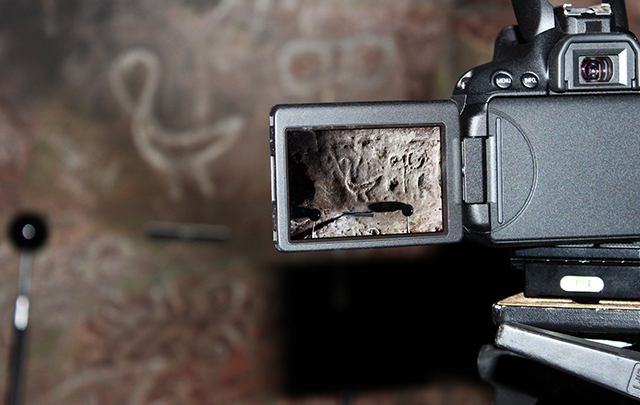 The caves near East Wemyss are special because of ancient and historic artwork carved onto the cave walls. Around fifty of these carvings are abstract symbols and animal representations. They were inscribed around 1500 years ago by people known as Picts. They are instantly recognisable as Pictish because they are similar in form to carvings of symbols and animals that are found throughout Pictish territory in early medieval Scotland from the Forth to Shetland. 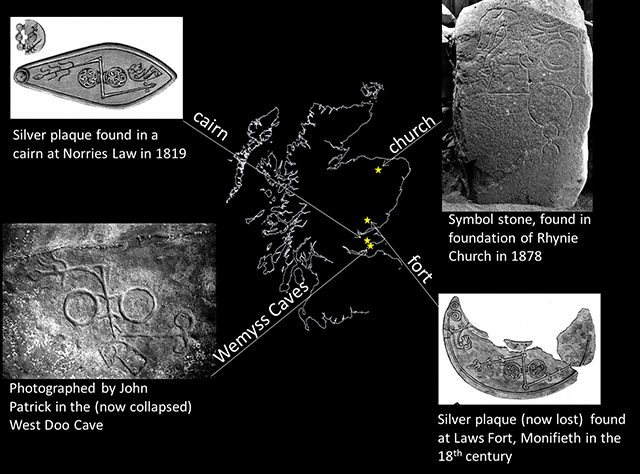 The Pictish double disc and Z-rod symbol with animal head has been recorded in different places in different contexts and on different objects, but the symbol is remarkably consistent. Antiquarians first recorded the carvings in the 1860s, but since then, at least 25 carvings have been lost to cave collapse, erosion, vandalism and natural deterioration. Unfortunately, the caves and their carvings are still threatened and are at high risk of further damage and loss. In 2013, we started on a journey with the East Wemyss community to preserve and communicate the rich history of the Wemyss Caves through the application of digital technologies. This website is your portal to exploring the caves in the present and the past. Our aim was to build a digital 3D model of the Wemyss Caves and coastline and use this as our stage to tell the story of the Wemyss Caves. We used laser and photogrammetry techniques to build our stage; specialist photography to create the interactive viewer for each carving, video to tell stories and digital artistry to re-create the past. A Faro Focus X330 laser scanner. A total of 376 scans were taken to cover the coastline, cave and MacDuffs Castle. Laser scanning is used to record extremely accurate 3D shapes of objects, buildings and landscapes. A rotating scanner sweeps a laser across a surface which reflects off it, the angle and distance of each reflection being measured by the scanner at a rate of millions of points per minute. The resultant cloud of points forms an exact 3D record of the shape of the subject. 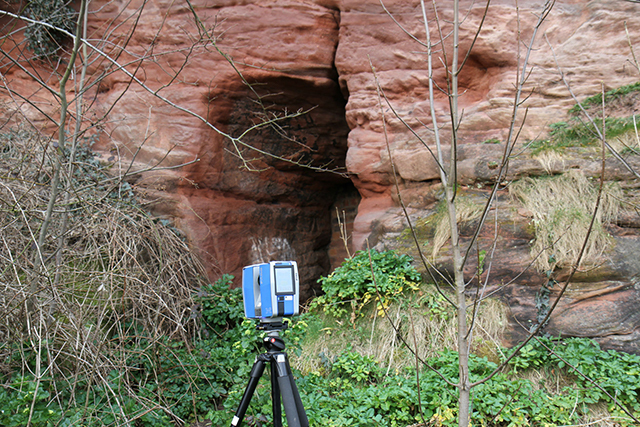 We used a laser scanner to create the 3D models of the caves and the coastline. This data set forms the main management resource for the Wemyss Caves, because it is the most accurate record of the caves and carvings and a baseline against which to measure future change. 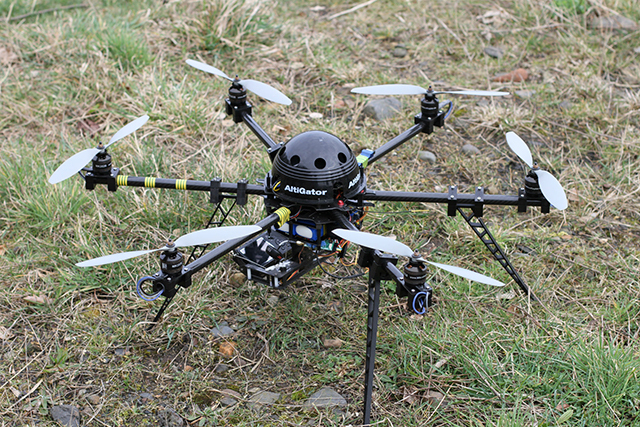 A hexacopter built and operated by Eddie Martin captured the aerial photography for the coastline model. Photography can also be used to create a 3D model from a series of 2D images. In this technique, a series of overlapping photographs are taken from different angles. Special software identifies common points on the photographs which are used to ‘stitch’ the images into a 3D model. For the coast model, we fixed the camera to a hexakopter to take a series of low-level aerial photographs. We combined photogrammetry with laser scanning, to create the photo-realistic coastline and cave interior models. In RTI, each position of the moving light source is captured on shiny snooker balls. This information is computed by the software to create the image you can explore in the interactive viewer. Reflectance Transformation Imaging (or RTI) was our technique of choice for recording the carvings because non-specialists can be involved in the fieldwork and it creates an interactive way of exploring the carvings through the website. RTI has a scary name but is a straightforward recording method which anyone can do. A camera is mounted on a tripod and a series of photographs are taken with the light shining from a different direction in each photograph. Using open source (and free!) software developed by Cultural Heritage Imaging the photographs are combined into a single image. With a special viewer, which we have adapted for this project, you can examine the images by moving a virtual light source across the surface just like shining a real torch over a carving on the cave wall. This reveals subtle details that are difficult to see with the naked eye. Watch Dr David Strange-Walker explain RTI. Wemyss Caves 4D is a collaborative project between the SCAPE Trust (University of St Andrews) and Save the Wemyss Ancient Caves Society (SWACS). Archaeologists from the York Archaeological Trust’s family of archaeological units: Trent & Peak Archaeology, ArcHeritage and Northlight Heritage, carried out the specialist fieldwork. Mike Arrowsmith (SWACS) created the website and built the 3D models. Volunteers from SWACS and the local community carried out the RTI and brought history to life through their acting in the short films made by SCAPE. The East Wemyss community shared their memories, stories and photographs of their village and their caves. This information has been used throughout the website. The Heritage Lottery Fund, Historic Environment Scotland and Fife Council generously funded and supported Wemyss Caves 4D. We are very grateful to the following organisations for funding and assistance in the realisation of this project.